Rewrite 400 years of medieval warfare, from the first Crusade in 1095 to the fall of Constantinople in 1453. Rule your kingdom and guide it through conflicts and upheavals. With 12 playable factions and 100 different unit types, laying siege and expand your empire throughout Europe, the Middle East and North Africa. Prove yourself worthy in the shoes of a famous historical figure (Richard the Lionheart, Joan of Arc, Saladin and Frederick Barbarrosa). 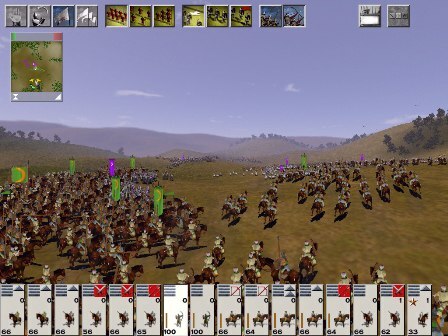 Choose alliances well, and enemies with care, Total War shows no mercy.